Visitors to the battlefields today are struck by the sheer number of cemeteries maintained by the Commonwealth War Graves Commission. It almost seems they are around every corner and in every village. 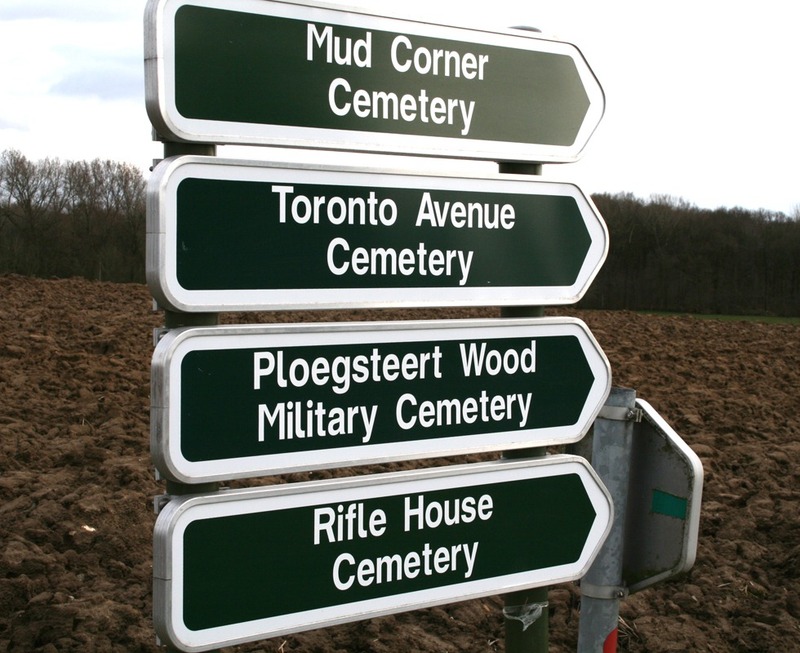 Some of them, particulary in the Somme area, are very small and may contain the graves of a few men who fought and died together near that very sport. Others are bigger, with several hundred or a few thousand graves. 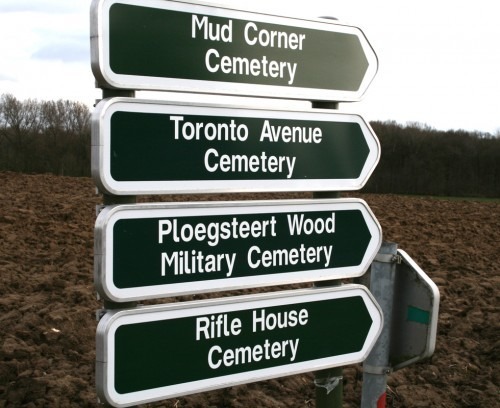 These cemeteries were usually formed close to Casualty Clearing Stations and later took in graves from the surrounding vicinity. Here can be found men of many different regiments and units. They might have been brought in badly wounded and died before being evacuated to the big field hospitals. And other cemeteries contain many thousands of graves. These were generally started after the war when the battlefields were being cleared. Scattered burials were brought together and the graves in many smaller cemeteries were “concentrated” together. The decision was taken that all but the very smallest cemetery would have a Stone of Remembrance with the words Their Name Liveth For Evermore. The inscription was chosen to be relevant to the Faiths of all families who came to visit. Set apart from the Stone is a Cross of Sacrifice, designed by Sir Reginald Blomfield, recognising the Christian nature of most of the burials. The headstones do not distinguish between officers and soldiers. Although there are some differences in design in various parts of the world, the vast majority of CWGC headstones on the Western Front follow one pattern. That is, two feet six inches tall, one foot three inches wide and three inches deep. They are rounded at the top so rain can run off. On each is the man’s name, rank and age, his regimental or unit badge, and space for a personal inscription from his family. Some of these are incredibly poignant. Those who are unidentified have the simple inscription: A Soldier of the Great War. Known Unto God, words chosen by the poet Rudyard Kipling who lost his own son in the war.